Just yesterday, Taiwanese manufacturer of tablets and smartphones HTC launched the successor to its flagship device HTC One in the Indian market. Christened HTC One (M8), the smartphone comes with a larger screen, 4G LTE support for India, and a host of other feature and specification changes. As we had earlier predicted, the company has put an Rs 49,900 price tag against the device. In addition, the company has also further expanded its Desire range of smartphones with the launch of Desire 816 and Desire 210. Unveiled at the Mobile World Congress (MWC) 2014 in Feb this year, Desire 816 is priced at Rs 23,990. In comparison, Desire 210 is the cheapest smartphone offering by the company till date, and also the first time a HTC device is available for under Rs 10,000. Both of them will be made available to end customers from the first week of May 2014. Here is a look at the specifications of the devices. The smartphone sports a 4 inch WVGA capacitive touchscreen display (800x480 pixels resolution). It is powered by a 1 GHz dual-core MediaTek MT6572M processor and runs on the Android 4.2.2 Jelly Bean operating system (with HTC Sense UI). It has 512MB of RAM and comes with 4GB of internal memory that can be expanded up to 32GB with a microSD card. It has a 5MP rear camera that can also record videos, as well as a 0.3MP front facing camera for video calling. On the connectivity front, the device has Bluetooth 4.0, Wi-Fi, 3G, and comes with a microSD card slot & a microUSB port. The dimensions of the device are 125.7mm x 65mm x 10.5mm and its weight is 130 gm. The company has provided a 1,300 mAh battery in the device, which also comes with Dual-SIM capability and GPS (with A-GPS support). It will be available in black and white colour. The smartphone sports a 5.5 inch Super LCD2 HD capacitive touchscreen display (720x1280 pixels resolution). It is powered by a 1.6 GHz quad-core Qualcomm Snapdragon 400 processor and runs on the Android 4.4.2 KitKat operating system (with HTC Sense 6.0). It has 1.5GB of RAM and comes with 8GB of internal memory that can be expanded up to 128GB with a microSD card. Desire 816 has a 13 megapixel autofocus rear camera (with BSI sensor) with LED Flash that can record full high definition videos (1080p) at 30 frames per second. In addition, it has a 5 MP front-facing camera for video calling that can also record HD videos. On the connectivity front, the device has Bluetooth 4.0, Wi-Fi, 3G, and comes with a microSD card slot & a microUSB port. The dimensions of the device are 156.6mm x 78.7mm x 8mm and its weight is 165 gm. The company has provided a 2,600 mAh battery in the device, which it claims will provide up to 21 hours of talk time and 737 hours of standby time. The smartphone comes with Dual-SIM capability and GPS (with A-GPS support). It will be available in black, red, grey, and green colour. 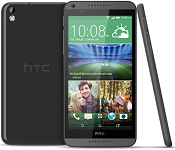 "The HTC Desire 816 is the start of the mid-tier performance smartphone. Taking the best technology and putting it into the Desire 816 challenges everything people will expect from a mid-tier smartphone with performance," said Jack Yang, president, HTC South Asia. In terms of competition, the device will face off against Huawei Ascend P6 (Rs 23,890), Lenovo Ideaphone S920 (Rs 23,999) and K900 (Rs 22,490), Gionee Elife E7 (Rs 24,450), Sony Xperia T2 Ultra (Rs 24,990), and the recently launched Xperia M2 (Rs 21,990), among others.